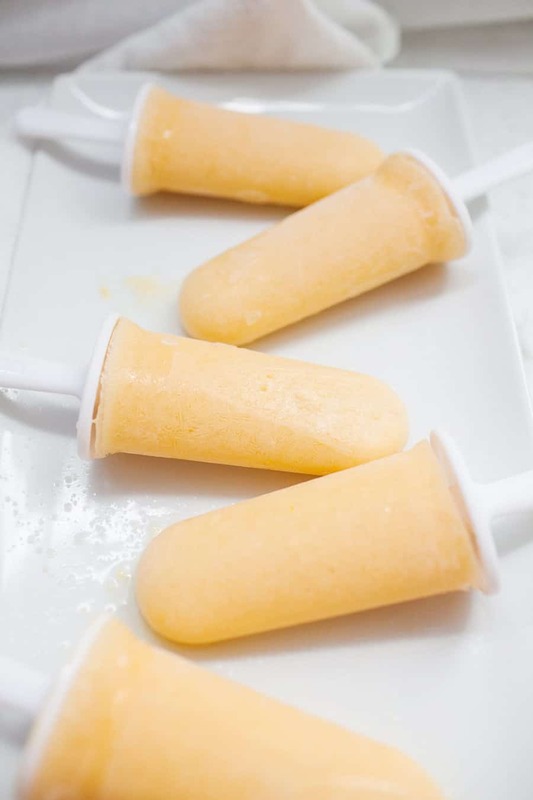 These healthy peach lemonade popsicles are the perfect summer treat! 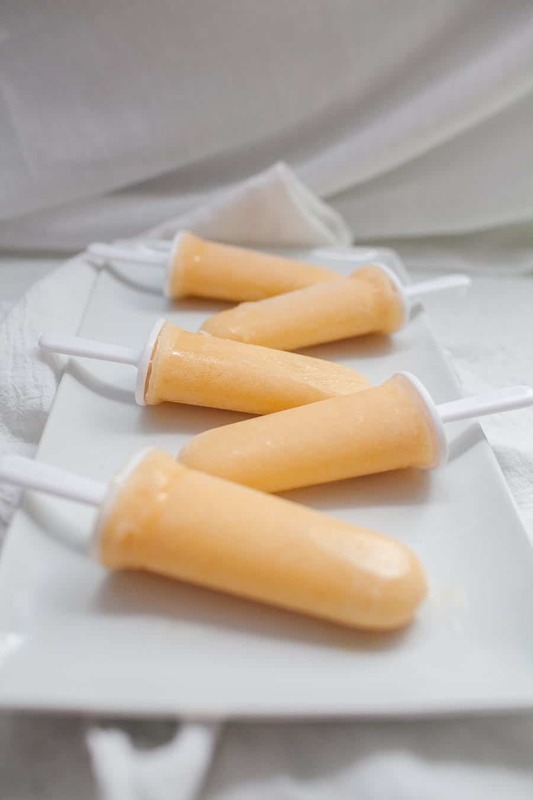 Cool down with these refined sugar free, creamy, fruity pops. Every summer since my son was born, I see people sharing photos of their babies are toddlers eating ice cream or popsicles and see how much their kids seem to be enjoying it. I’ve mentioned before that we try to keep our son refined sugar free as much as possible. Usually it isn’t a concern with our lifestyle, we just eat our treats when he is asleep! But during the summer, I suddenly have a twinge of jealousy and want to let him experience the fun (and mess) of a popsicle dripping down his little chin. But, instead of giving in, I decided to make my own healthy popsicles that he could eat and I could feel good about eating, too! 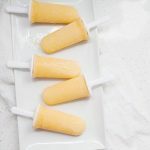 This week is popsicle week in the food blog world, which means a bunch of us have gotten together to make a variety of popsicle recipes, from fruity, to creamy, to boozy and vegan. So basically, all of the popsicles your heart could desire. You can find them all here. So back to these yummy popsicles. I’ve made a handful of lemonade treats in the past, from strawberry lemonade and blueberry lemonade mocktails, and of course these double lemon cupcakes. And then I’ve been on a peach kick lately after making peach raspberry sangria. Sometimes I get that way with a certain ingredient. , which is refined sugar free! Truthfully, my son did not have the interest in these popsicles that I expected him to, but I’m pretty sure that’s because I tried to bribe him with one while I was icing and taking photos of cupcakes. Cupcakes will always win over sugar free popsicles, right? I don’t know why he showed so much interest in the cupcakes since he’s never had one in his life. But anyways, I digress. 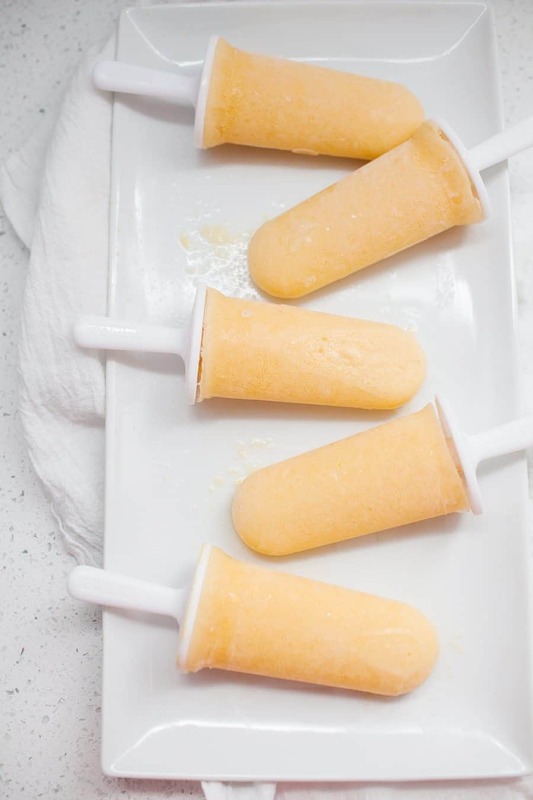 Curious how to make your own healthy popsicles? It’s probably easier than you think! 🙂 First things first, you’ll need some sort of popsicle mold. This one would be perfect for toddler hands! [amazon_textlink asin='B00NGV4506' text='In a blender' template='ProductLink' store='joyfullymadwp-20' marketplace='US' link_id='1ffa4da1-5bc2-11e7-97bf-41104938e87b'], blend ingredients until smooth. Add water or more yogurt if needed to get a slightly thick smoothie consistency. Pour mixture into popsicle molds. Depending on your popsicle mold, you may need to freeze the pops for an hour before inserting the popsicle sticks. Check instructions. Freeze for at least 8 hours before removing from mold. Taste your mixture to see how sour it is with the lemonade. If you’re using plain greek yogurt, you may want to add an extra tablespoon of honey to balance out the flavors. 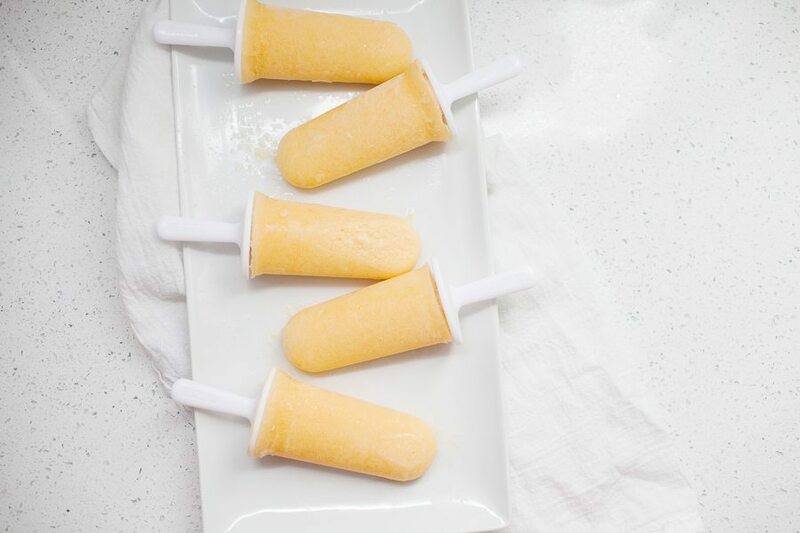 I just love a good popsicle in the summertime, and I love that these beauts are refined sugar free! Always looking for a sweet treat that’s better for me, and I bet these would go over splendidly in my household!